Get a tailored quote on the RAC home insurance website. 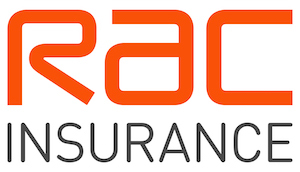 RAC is primarily known for its breakdown cover and car insurance but it also offers a range of other policies, including home and pet insurance. RAC has existed for 120 years and it offers comprehensive cover for buildings and contents with a number of optional extras. Get a tailored RAC home insurance quote on their website. Find out more about home insurance and see our list of the best providers here. What does RAC home insurance cover? RAC offers buildings, contents and combined home insurance. The contents part of its policies features new for old cover, so if you make a claim with RAC for an item that is damaged or stolen they’ll replace it with a new model of comparable quality. It also includes up to £1,000 per claim for items outside your home, such as garden furniture or BBQs. And there is a £5,000 limit for items ‘temporarily taken out of your home’. This can cover contents taken to college or university by a son or daughter. RAC offers up to £75,000 for alternative accommodation for you and your family if your home is unsafe to live in. The buildings part of RAC’s insurance includes up to £500 to replace locks and keys. It also features up to £5,000 of cover for trace and access, which is the process of locating a leak, which can be expensive. Not all home policies include this, so it is a useful feature. Along with these standard features, there are a number of optional extras that cost more. These include its Home Assistance Cover, which is different from traditional insurance in that it gives you assistance in the event of a sudden problem with things like your heating, plumbing, electrics or boiler. RAC covers up to £1,000 for the callout and emergency repairs and it doesn’t count as an insurance claim. Other optional extras include a higher level of keycare cover and family legal protection. Learn more about its cover and get a quote online from RAC. RAC offers a separate policy for holiday home insurance. We’ve written a guide to holiday home cover here. How much does RAC home insurance cost? There are many factors that affect the price of home insurance, including your postcode, the value of your property and the type of house you own. RAC says 50% of its combined buildings and contents home insurance customers paid less than £146 between 1 January an 30 June 2018. Those customers bought directly from RAC and the price did not include any additional products and upgrades, with payment on an annual basis. Find out how much your quote will be on RAC’s website. RAC allows its customers to pay one lump sum or monthly instalments. Be aware there may be an excess you have to pay for many home insurance claims. What do the experts say about RAC Home Insurance? RAC buildings and contents policies are rated 5 Star by independent financial review service Defaqto. Go to RAC's website to choose your cover and get a quote. Check out our list of the top 10 home insurance providers.